decrease the number of cracked and hair-cracked eggs. Chicken egg collecting system plays a very important role on the prosperity of both layer and breeder management as well as the whole the poultry business. Because the technology is getting enough involved in this business. 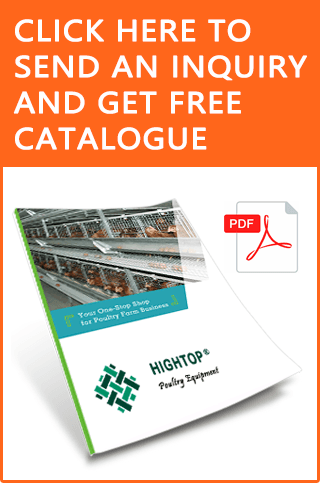 You should have find smarter alternatives of manual hen egg collecting system. 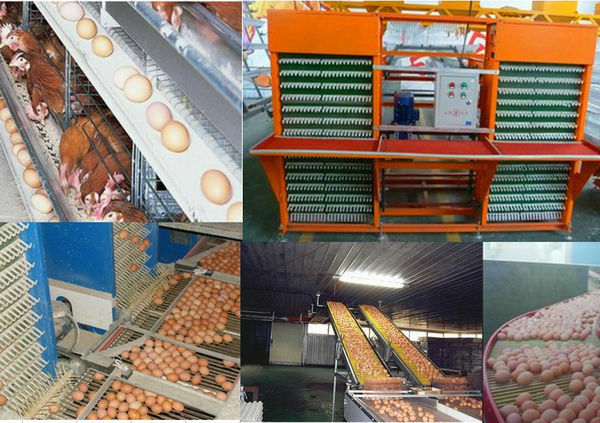 Automatic egg collection is the High Top introduces which is a very costly, effective and time saving alternative way that can increase your production rate and reduce your cost in a effective way. The performance of the egg collecting system have to be adapted to the capacity of the egg grader. Are there any difference in altitude on the farm premises and the houses staggered respectively? Do you have intention to prefer the eggs by flock or rather simultaneously? It is the careful consideration of these aspects to make the right choices. Poultry farms with long time of experiences have rediscovered this well-proven smart system, which is especially suitable for large business. The eggs can be collected in all cage rows and on all column simultaneously. proper egg transportation. This transfer point is fixed only once during assembly. The cross channel results in a good distribution of eggs, so that they need not touch the edges of the channel. The perforated channel guarantees a smooth belt guide line and also reduces driving power. During collecting eggs for per flocks, the belts are operated with a speed of 4 m/min. When eggs are collected from various houses simultaneously, the speed of the longitudinal belt can vary owing to the frequency control between 6Hz to 90 Hz. Multi-tier curve conveyors (200 and 250 mm wide) transfer the eggs from different tiers to the operating level of the egg grader or packer using the shortest possible length of run. However, the disadvantage of this system is consisting by the difficult access to cage rows. The removal of dirt is done by rotating brush, located below the egg belt in the area of the drive unit of each tier. It rotates in the inverse moving direction to the egg belt. Spiral arrangement of the extremely robust bristles results in a fine self-cleaning effect of the egg belt cleaning brush. Depending upon the intended use – it is in cage systems or as egg collection belts for laying nests – various sizes of egg belts are available. Using an auto egg counter, you can determine whether eggs are counted by rows, per tier and/or per house. a counting module for per longitudinal or cross belt, per row or only per house. Every counting module has 8 infrared sensors. At the time of passing an egg through the counting module, the intensity of reflection is determined by the infrared sensors. 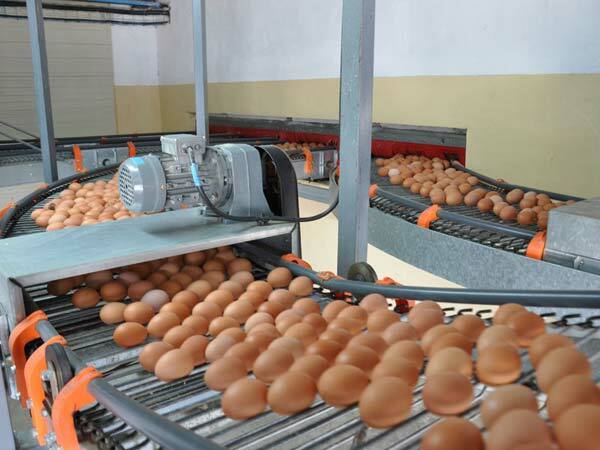 The egg may counted and also registered as soon as the top point of the egg has been recorded by the infrared sensor provides the information about the number of counted eggs at any moment during the operation. Are the cages or houses of the birds are constructed in different elevations or on different ground levels? How large capacity of the packer and the sorting system of the poultry of an egg that laying by chickens? Does your plan including the collecting system of the eggs separately for each of the folks or not? According to the answers of these above mentioned questions, you have to decide the type and dimensions of the auto egg collection system from egg laying chickens you want to embed with your egg laying chickens. Please send a web site with photos of your systems. I am using my mom’s phone. She can’t afford the cost, SO! Send to [email protected]. I want to auto gather from my farm(not open yet) for my pet food company! Thanks, Sherry R Davis.